In traditional Chinese medicine (a form of alternative medicine that originated in China), meridians are invisible energy pathways or channels that run through the body. Our vital life energy, or "qi", is thought to flow along these meridians, and anything that disrupts the smooth flow of chi is said to cause illness. The Chinese term for meridian is "jing luo". Most acupuncture and acupressure points lie on a meridian and stimulating these points using acupuncture needles, acupressure, moxibustion, or tuina is thought to help correct and rebalance the flow of energy. There are over 300 acupuncture points on the meridian system. 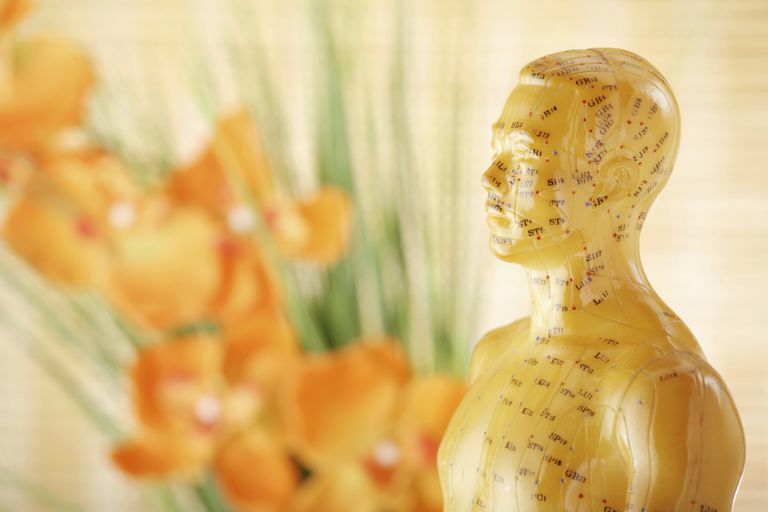 There are 12 regular meridians and 20 meridians in total in traditional Chinese medicine (TCM). Each regular meridian is believed to correspond to an organ and run along the body to either the hand or the foot. Organs without an empty cavity (such as the heart, liver, spleen, lungs, and kidneys) are called yin organs and organs with an empty cavity (such as the gallbladder, stomach, bladder, and large and small intestines) are called yang organs. Meridians that are linked with yin organs are called yin meridians and those linked to yang organs are called yang meridians. Yin meridians run along the inside of limbs and yang meridians run along the outside of limbs. In TCM, qi is believed to flow from the chest area along the three arm yin meridians (heart, lung, and pericardium) to the hands. There they connect with the three corresponding arm yang meridians (small intestine, large intestine, and triple burner or "san jiao") and flow up to the head, where they connect with their three corresponding leg yang meridians (bladder, stomach, and gallbladder) and flow down to the feet. They connect in the feet to their corresponding leg yin meridians (kidney, spleen, liver) and return to the chest area. In addition to the 12 regular meridians, there are eight extra meridians that are not tied to a major organ system, but instead store qi and blood for the regular meridians, circulate a person's essence or "jing" and defensive qi ("wei qi"), and also provide further connections between the 12 meridians. Among the eight extra meridians, the Governing Vessel ("Ren Mai") and the Conception Vessel ("Du Mai") are considered the most important meridians, partly because they contain points that are not on the 12 regular meridian lines.